Box Text: A dark and violent crime thriller, set against the backdrop of 1940's Los Angeles and utilizing revolutionary new facial animation technology, L.A. Noire blends the breathtaking action chases and shootouts with true detective work including interrogations and clue-finding, as newly-minted officer Cole Phelps embarks on a desperate search for truth in a city where everyone has something to hide. 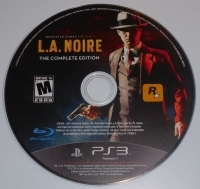 This is a list of VGCollect users who have L.A. Noire: The Complete Edition in their Collection. 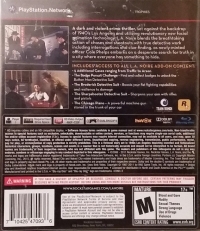 This is a list of VGCollect users who have L.A. Noire: The Complete Edition in their Sell List. 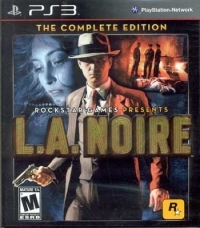 This is a list of VGCollect users who have L.A. Noire: The Complete Edition in their Wish List.